And just like that, we are in the last quarter of 2018! If you’re like me, your favourite singers and rappers from different parts of the globe released songs that left you nodding your head, dancing and constantly updating your playlist and hitting repeat! While we wait and hope for even better and more groovy hits in the last few months of 2018, we should take a moment to appreciate five hit songs that made wave around the world. For some, it has been an extremely eventful and fulfilling year in the same way that some are still trying to pick up their pace. In fact, there is a good number of people already planning for the coming year! Regardless of what category you fall into, it is safe to assume that at some point, music offered you something: companionship, joy, laughter, a sense of fullness. There is a probability that you caught the excitement that spilt out from the global music industry. Cardi B is definitely not slowing down anytime soon! From the release of Bodak Yellow last year to collaborations with several big dogs like Bruno Mars, the talented rapper served yet another fiery collaboration with Maroon 5, singing what was THE summer anthem of the year. With over 1 billion views on YouTube, Girls Like You is arguably the hottest song of the year, so far! 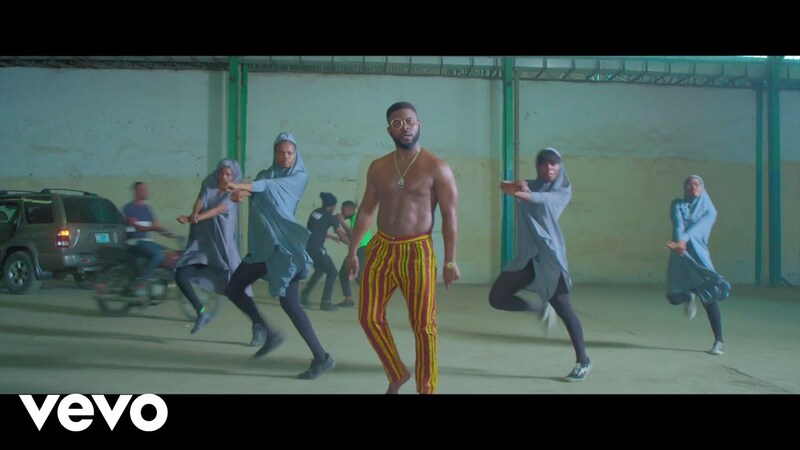 Within a week of its release, This Is Nigeria – a cover inspired by Donald Glover aka Childish Gambino’s This Is America – was considered by many to be the best song out of Nigeria this year! And with over 14 million views on YouTube, the numbers certainly agree. Rapper and songwriter, Falz, took on social issues that needed to be tackled and added a fun beat that was as entertaining as it was educational. With this, one can confidently expect the Nigerian music industry to take on taboo topics in the future, in order to shed light on them whilst still giving us the entertainment we so desperately crave. We are definitely looking forward to more of this, as we approach the end of the year festivities. Growing up, one of my favourite songs was Hero by Enrique Iglesias. Why? The simplicity of the song, his sonorous and melodious voice, the timelessness of it all was matchless. It gives me pure joy to see that he hasn’t lost any of these and brings it all to his latest release El Baño which has dominated the South American charts and global charts, as well. Malian-French songstress Aya Nakamura, is probably my favourite find of 2018. Her viral song ‘Djadja‘ is fun, beautiful, melodious and easy to listen – so much so that even if you don’t understand the French language, you’ll still absolutely enjoy this song. Normani Kordei, who was once a part of the phenomenal girl group, Fifth Harmony, recently started out her solo career, right after former fellow group member, Camilla Cabello went solo. The result was this amazing RnB collaboration with rapper Khalid, which remained high on several music charts – especially after the Billboard Music Awards in May. And really, if we are being honest, Normani and Khalid brought down the BMA stage with their performance of Love Lies. So good was it, that many people started speculating whether or not Normani may be the new Beyoncé. Who knows? What we do know is that this song is simply badass! It’s over 85 million views on YouTube is enough testament.